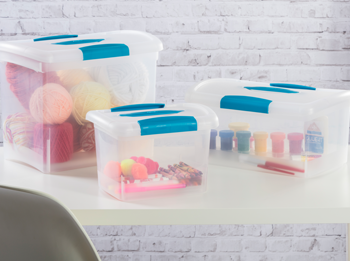 Crafting is a great way to entertain the kids this winter, but keeping kids organized is always a challenge, especially when working with small pieces. 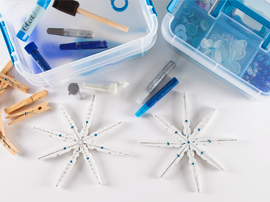 Sterilite's small storage products are here to help. Create memories for years to come by making these simple and elegant holiday ornaments this winter. Each year when you take them out you will be reminded of the fun of making them. Click here to learn how to be a part of our online research community!